You are at:Home»Articles from Our Contributors»It's not too late to do something special to celebrate the Ascension! It's not too late to do something special to celebrate the Ascension! Tomorrow is Ascension Thursday! * We will celebrate the feast of Jesus’ return to His home in Heaven where He will remain until He comes again. This is an essential tenet to Christian faith and included in the Apostles’ Creed and Nicene Creed. When a Holy Day falls in the middle of the week, it can be hard to make it feel important or special. Sometimes, it’s all we can do to get everyone to Mass. Even though the day is nearly upon us, it isn’t too late to do a few special things to make it meaningful to your family. Here are links to the easiest printables, crafts, coloring pages, simple games and menu items that you can quickly and simply add to your day! Happy Ascension Thursday! May the Easter Joy continue! With a balloon: Who can keep a balloon in the air for 40 seconds? Bubbles for each player: Who can be the first to blow 40 bubbles? In France, children beg for flour throughout the neighborhood so they can make beignets. You could make these light pillows of pastry or simply pick up some doughnuts or doughnut holes to celebrate. Toast some marshmallows to represent the clouds! Nothing is tastier than homemade marshmallows, if you aren’t pressed for time. Similarly, meringue cookies, either homemade or from the store, are a special and meaningful treat! Angel food cake can be a homemade treat or picked up at the grocery store. It’s light and airy like the clouds and named for the angels who explained to the Apostles what had happened. Beans and grapes are traditionally eaten on the Feast of the Ascension in many countries. These were considered the first foods to be eaten by those who returned from the dead. 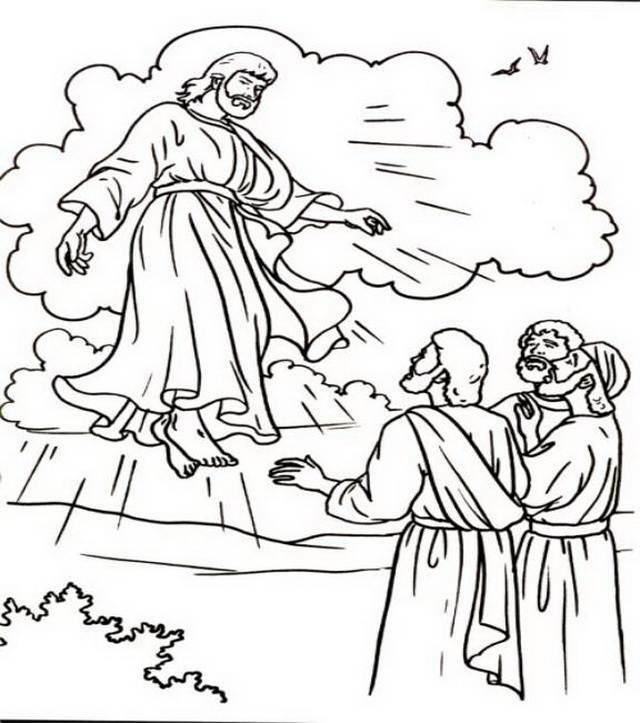 Many parishes or dioceses may celebrate the feast of the Ascension on the following Sunday, so you may find the readings are different at Mass today. The links below are for the Solemnity of the Ascension. *Note: many dioceses celebrate the Ascension on the 7th Sunday of Easter (in 2016, May 8).